The London premiere of Neil Simon’s hilarious farce is a triumph. 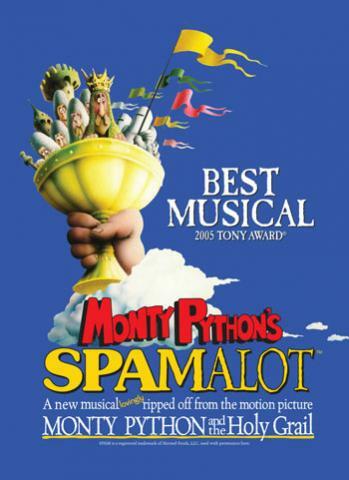 Bursting at the seams with top quality comic timing, some great acting performances and a spot on period feel make this a great way to brighten up an evening. I have a confession – I lived two minutes away from the Hen & Chickens for six months and never went to a play there. The friend that I dragged along last night shares a wall with the back of the theatre, and can hear the clapping from her bed. She worries that sometimes when she’s getting ready to go out the audience can hear her music (and apologises if they do…). She had also never been until last night. On top of this, the theatre (which seats 54 according to Time Out London) was half empty. Why do so many great venues, with productions bursting with talent, fail to attract full houses? Tickets were only £12/£10 – less than I’d have spent on pints of cider had I spent that hour and forty minutes in the pub downstairs. Are people scornful of pub theatre, thinking that productions won’t be of good quality? Are they poorly marketed? The production of La Boheme that I saw down the road at the King’s Head Theatre in April was packed – and the content there (a modern take on opera) was much more esoteric than this snappy, broadly-appealing farce set in eighties Oxford. Obviously marketing budgets are tight for these small productions, the actors mostly have full time jobs to go to, and little shows don;t have the tourist appeal of West End long runners, but surely there are enough locals (or just Londoners) to fill these places each night? I am seriously puzzled about this – if anyone has any insight/answers please leave a comment below. The production was involving, intense and hilarious – with stand out performances from Amy Ellen Burnett (RoAm co-founder), Charlotte McClimens and Claire Lyons (Madison co-founders). The rest of the cast all did great jobs at a range of fantastically developed characters, providing yet another example of how much acting talent there is out there in London. Thank god that these little venues are peppered across the capital to give these budding thespians a place to perform, I just wish that more people would go and see them. Head down to Highbury Corner this week to see for yourself. 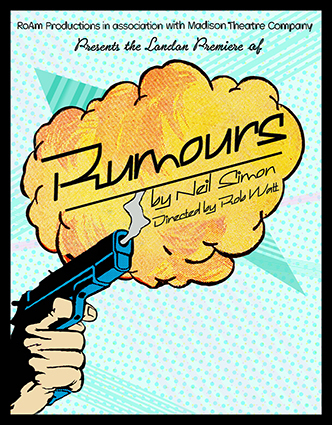 Rumours is on at the Hen & Chickens Pub Theatre until 18th June 2011, at 7pm Tuesdays-Saturdays with matinees at 3pm on Saturdays. Tickets can be purchased from http://www.rumourstheplay.co.uk/ or from the Hen & Chickens Pub on the junction of St Paul’s Road and Highbury Corner for half an hour before each performance.